1. 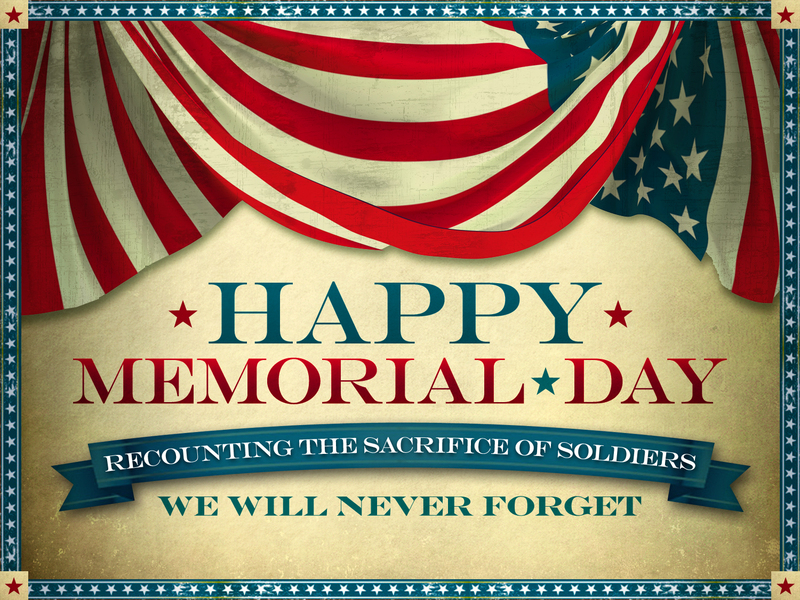 I am grateful to everyone who has served, still serves, and plans to serve in a branch of America’s military. They risk their lives when they don’t have too, and even if no one agrees with everything on the political side, we in America should all be thankful for our soldiers! 2. I am thankful that my best friend and I have spoken for the first time since October. We are related through marriages, and for all intent and purposes, she is my sister. We both mess up, get mad, but I have missed her horrible, and blood may be thick, but she chooses me as family, the same as I do her. 3. I am very sad that I planned on doing things with my girls this weekend, but their father had planned a beach trip and so I compromised when I truly wanted to be difficult. I am thankful they are okay, get to spend time with him, his mother, their aunt and cousin. I am thankful for them both. 4. I am 38 yrs old, and frankly, I have always been in what I consider long term relationships. The one I had to end had ran for 9 yrs. But back and forth for 15 yrs. I absolutely was not in a healthy relationship. My girls no longer felt safe. People can be judgemental but not all women stay because they are weak, scared, or believe they deserve to be treated with disrespect. I was trying to keep my girls happy while I was miserable. I had to get out of it and it’s not been easy. His family’s involvement, moving my life out of his house, and it felt like such a waste of half my life. But then I realized I am thankful I finally told my girls, I stayed with him 2 yrs longer than I should have, trying to keep them from hurting. But I needed them to know a man does not treat a woman that way, so lead by example. I’m thankful I made the decision. 5. This is in reference to # 4 – I decided I had to get out of the mess I was in, stop trying to hide behind my bipolar disorder to avoid life, and make a change positive for my girls. Along the way a friend was by my side. Actually, he tried being there, but I was worried over the problems it would cause. As this man made me laugh, after walking in and seeing me crying over my now ex, and as he showed me compassion, understanding, and how someone should treat me, I realized this man was more to me than a friend. He became my best friend, but I wanted more. He give me time. And then hearing him say he loved me, I am so thankful I found love again, because I was jaded and done. 6. I am thankful for the people in my life that have still stuck around. 7. 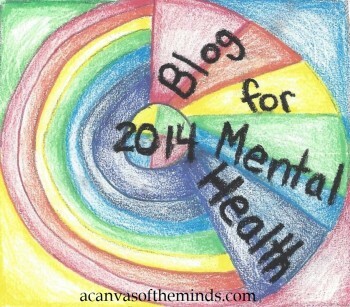 I am thankful that I have been inspired to show both my blogs attention. 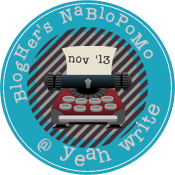 Depression and writer’s block took their toll. 8. I am thankful for everyday that I get a chance to become stronger. 9. I’m thankful to all of you wonderful people who take the time to read this and comment. It means a lot. 10. I am thankful that I can sometimes remember to reflect on the good instead of all the bad and it turns out, my blessings outweigh the negative. Shout out to Lizzi and her TTOT. You show strength by being thankful and keeping up with your blog. I admire your strength through the hard times and hope for you to have happy roads ahead. 1. I am thankful for the new man in my life who has shown me love, made me feel appreciated, and given me hope for a brighter tomorrow. 2. I am most definitely thankful that the weather has gotten up into the high 70’s and according to the weather report, this week is only going to get better. 3. I am thankful that my two gorgeous daughters will be with me on Mother’s Day. 4. This may sound simple but I am so thankful I was approved for insurance. I have been without it since January 31st and since I’m on 5 different medications that I need, buying them out has proven to be a challenge. 5. This applies to number 2. I believe, but I am thankful for all the gorgeous plants and flowers that my boyfriend has bought for his flower garden and for his mother’s. They are gorgeous, bright bulbs of happiness. 6. I am thankful I lost 12 lbs. Still not where I want to be exactly. I didn’t do it on purpose or the healthy way. More like stress caused it. It’s left me in a weird size of clothes too. But at least it’s 12 lbs lost and not gained. 7. I am thankful for the few people in my life that I can go to at any time, and they are glad to see me. 8. I am pre-thankful that my job search has turned over some new leaves, and hopefully I will be working soon. 9. I am thankful I got to spend time with my girls’ aunt, their father’s sister. Her and I have always been close. So, it was good to see her. In reference to number 5, I will share pictures soon of the flower gardens and of my Wandering Jew Plant. 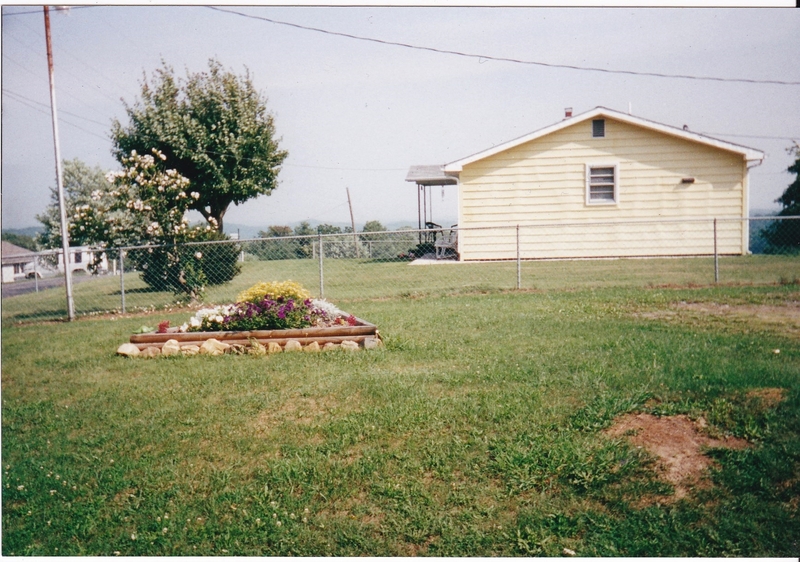 This was my flower bed in 2000. Hoping to make it better this year. I may have to run through this list pretty quick, but I’m thinking acknowledging some thankfulness is better than not. Sometimes, it’s a great effort, but worth it. 1. Thankful my daughters done excellent on their midterms!! 2. Thankful my boyfriend’s daughter had her baby last Tuesday, Ms. Annabelle Grace. Anyone on my Facebook page can see how amazingly beautiful this baby is. 3. My 8 year old’s first game, cheerleading for the same school I once cheered for, the Riverlawn Rams. She has so much energy and loves it. The Rams also won their first game. Now my oldest cheered when she was 8 and she was so adorable. But it was a hassle getting her to cheerleading practice. She enjoyed the games, but not the practice. The following year, she played softball and that was much more her style. Then her little sister played t-ball, but cheerleading is a strength for her. 4. Glad for the nice weather, although the nights are getting chilly and Autumn is settling in. 5. With Autumn settling in, I am thankful for the mountains I live in. The leaves will start changing and the Blue Ridge Mountains are spectacular. My favorite photos have been taken in the fall. 6. I was raised religious. I won’t go into that. I will only say that it effected how I feel now about religions and such. However, my granny always said, “When we’re down to nothing, that’s when God is up to something.” I’m finding that to be true. 7. Thankful for some of the amazing people in my life and thankful for the ones that weren’t so amazing. Everything can be turned into a lesson learned. 8. The saying, “do things for others, and you will feel good inside,” is very much true. Just little things can really make a difference in someone else’s life. 9. Wanting to go to a dentist, get my license back, and a few more goals are stressing me out. I believe I need to rethink things or stop trying to accomplish everything at once because I get so overwhelmed when I put too much on my plate. 10. Thankful that I’m trying to step out from writing poems and focus some on short stories and other genres. Hopefully, I will get better. It seems hard at times to find the “thankful” when I feel more like saying, “No thanks!! !” to life. As they always tell people in N.A. groups, even if you used, come to the meetings and practice sobriety, a “fake it til you make it” type of mantra. So, I’ll apply that here today. 1. Sunshine – This has been a rainy, cloudy, and lower temp type of week. Today had the ‘blah’ stamp of approval. Finally, the sun began to shine about 15 minutes ago. I believe it’s proven in scientific facts, but I know for myself, the sunshine can change my moods, and the gloomy days take a toll on my bipolar mind. So, I’m thankful to see the sun out. 2. Good Books – Thankful that I have some good books that I don’t mind re-reading on a cloudy day. Although I will be even more thankful when I get a chance to grab a new one. I’m leaning toward “Gone Girl” as my next read. 3. Experiences – As I was reading Lizzi’s blog on Considerings, she reminded me that my 10th grade year of high school, our science teacher took 6 chosen students that had went above and beyond in his class, rock climbing in North Carolina on Stone Mountain. 600 ft. of climbing and it was scary, wonderful, and I am going to have to scan the photos the next chance I get. I’m glad I have gotten many chances to expand my experiences, and looking forward to more. 4. Music – It is true, that as well as the sun, music can uplift someone, remind them of past, can make them feel sad, loved, happy, lonely, and if it’s good music, you will feel as if the song was written and recorded just for you. This reminds me of my recent trip to Pigeon Forge. I was able to record on my phone two live bands during our stay and they were fabulous. I wish I had thought to get their names and perhaps purchase a c.d. Sidenote to self to look online and see if I round up anything. 5. Necessities – I suppose I do tend to look at the more negative side of things and I don’t remember if I’ve always done so, or if throughout life, I began to do so without realizing it. I think the latter applies because I don’t recall being anything but happy throughout my childhood, until my grandfather had a stroke when I was 16 and in the middle of my junior year in high school. Then it seems when recovering from one death, another seems to come along, I began looking at life more harder and feeling more bitter. So, I want to take a moment and be thankful that my children and myself have what we need. What we need and what we want can get confusing and run together in my mind. Once I begin to separate what I need and what I think I need, and then what I want, I realize we have food, shelter, clothes, water, electricity, and the bills get paid, even if a struggle at times. Then we have things we don’t necessarily need but make the days go by faster, for them t.v., for me the internet and radio, for my youngest her bike. The small family I do have are caring and loving and so life isn’t so gloom after all. 6. Pilates – I am trying to lose weight at the moment. This hasn’t been a problem for me until recently. Willpower to stick to an exercise program is where I struggle most. I still enjoy my evening walks with my god-daughter, my girls, and my two great god-sons. But when the weather isn’t permitting, and I know I need to add a little bit more, I finally found a Pilate challenge for 30 days. I haven’t gotten bored and they seem to be doing what they are intended to do. I’ll admit I have slacked for the past week. Also, I found the challenge bookmarked because it was to begin 30 days before Memorial Day and I bookmark things like this and forget about them. Then in my useless attempt to organize things, I stumble across outdated challenges, outdated submissions for literary mags that I mean to submit a poem to, and other such things. With this though, I figured that better now than never. 7 My children – This is actually my children and my close loved ones. Recently, things have happened that are unfair in my opinion. Living in a small town and with everyone being so close, it has it’s ups. The downs can really get a person down though. I will just say that as a mother, I have made mistakes, but overall my girls are well- balanced, know they are loved, exceed in school, and feel free to talk to me about life’s little ups and downs. We get tested all through life – tested for a driver’s license, tested throughout school, tested for employment, tested on our beliefs, but there are no study guides and then an exam when having children. We all know how we were raised, we even believe before having children that we will be different or the same as our parents. This doesn’t happen. Sure, there are millions of books and articles to read about parenting. I can’t think of one person who remembers these books when situations in life occur. I even took Child Care in high school. Overall, I know there are times I deserve an F and times I deserve an A+. Thankfully, children are forgiving and resilient creatures. 8. Blogs – Not only have I found wonderful people throughout the Blogging World, and amazing prompts, such as this one, but I’m thankful I have a place I can turn to and reflect on things I’m thankful for, things I don’t realize until typing, and a place I can keep all my poetry and little random things that make me happy. I like Facebook, don’t check Twitter as much as I should, and definitely need to post more in my blogs, but just the same, my blogs are my favorite by far on the internet life. 9. Sleep – I am grateful for sleep because of insomnia. I’m also grateful sometimes when life seems to get me down, I can sleep and wake up refreshed and feeling like I can handle anything life throws my way. 10. Laughter – Laughter is healthy, healing, and the best laughter sometimes happens when I’m alone and watch a movie that makes me laugh. Or a book I’m reading has a witty sentence that makes me laugh along with the characters. Memories of silly things that bring a smile to my face. I think that’s the best laughter of all. Thankfully, I made it through this week, and am finished with my post for Ten Things of Thankful. YaY. I meant to do this Thursday evening so my post would show up on Lizzi’s Ten Things of Thankful on time. Time got away from me because we were leaving Friday morning at 5 a.m. to go to Pigeon Forge, Tennessee. No matter how many times I have been there, I always hate going home. They add on to attractions and there are so many, it would take forever to go through all of them. Anyway, I’m going ahead and doing my TTofT. I’ve slacked long enough. I am thankful for all our soldiers whom risk their lives, the ones deceased, and the ones who have served the United States of America, trying to maintain our freedom. I am thankful for Independence Day and the meaning behind it. I am thankful we were able to take the girls to Pigeon Forge, Tennessee and they got to experience all the history, fireworks, parades, and much more for the 4th of July. As much fun as we had, I’m thankful to be home and get some much needed rest. I am extremely thankful that throughout Pigeon Forge and Gatlinburg, I was able to see several live bands and they all sounded wonderful. I recorded my two favorites, but since my phone is new, I’m trying to figure out how to get the videos online. I am thankful that 12 years ago, come this Wednesday, I gave birth to my oldest daughter, Madison Elizabeth Viar. She’s already gotten the “teenage attitude” which causes our personalities to clash, however, I’m very proud of the young lady she is becoming. Smart, pretty, funny, and she takes life in stride. I envy her this because I have always had panic attacks since around age 10 or so. I am also thankful she doesn’t suffer from anxiety. I can’t be thankful for one without the other. I’m thankful that January, on a Friday the 13th in 2006, I gave birth to my youngest daughter, Olivia Ann Viar. I always feared having more than one child. Worrying that I could give one everything, but by having another, my oldest only gets half of everything. Worried that I wouldn’t love them both equal. Which leads to # 7. I am grateful that as a mom, I love both my girls. Not the same way, but they equally share my heart. They are both growing into their own person, and my bond is different with each of them. The wonderful thing is, I love them both so very much and looking back at my fears in 2005, while pregnant, they seem so silly now. I am thankful their father, step-mom, 2 step-sisters, and half brother will be coming to pick the girls up and take them to their home in Jacksonville, N.C. It’s about a 6 to 7 hour drive from where we reside, so I miss them and worry. But it is good for them to spend time with their father and family in Jacksonville. Plus they are going to Florida in August when he picks them up. I have never been but definitely am planning on it. I am thankful for the paternal PaPa for helping me and the girls any time we need it. He works many hours, sometimes pulling a double shift and then having to go back to work in 8 hours. But everyday he has off, he comes and picks up the girls and spend time with them. Since my immediate family have all passed away, I’m grateful they have their PaPa, their Nana in N.C. and their great- grandparents. I am thankful that all my loved ones had a safe holiday weekend and it seems like this year is going by too fast, just like last year. I hope this isn’t how every year is going to be because time seems to speed up as one grows older. I always heard that at least. So far, my aging has been generous and I’m thankful for that. Hoping it stays that way. <knocking on wood>. This list was easy to do and I plan on getting my post in next Friday. ***SIDE NOTE*** I am happy to report that I went to get the link from TTofT, and the link had not closed yet! I am so excited. I made it after all.